The venerable real-time strategy veterans at Petroglyph said that the closed beta of Rise of Immortals is starting ... now. 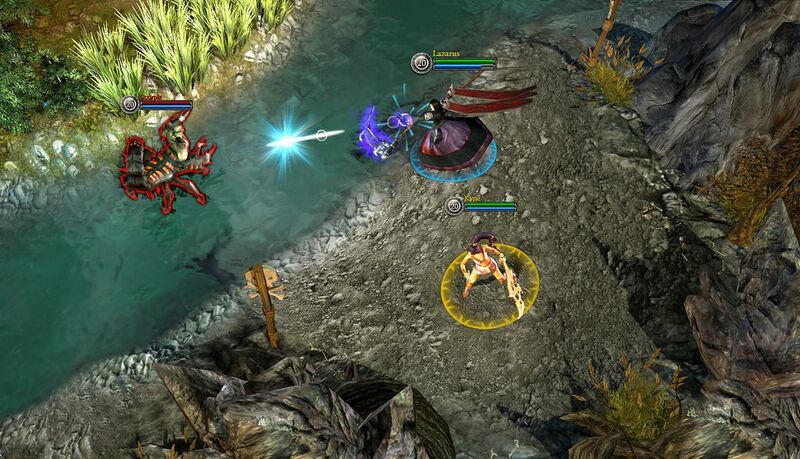 The Defense of the Ancients sub-genre, also known as DOTA or MOBA, has players taking control of hero characters in a top-down real-time environment. These heroes, which usually have catchy names and specific skillsets, level up over the course of the match, gaining in power and effectiveness as they battle NPC monsters and other player's heroes. 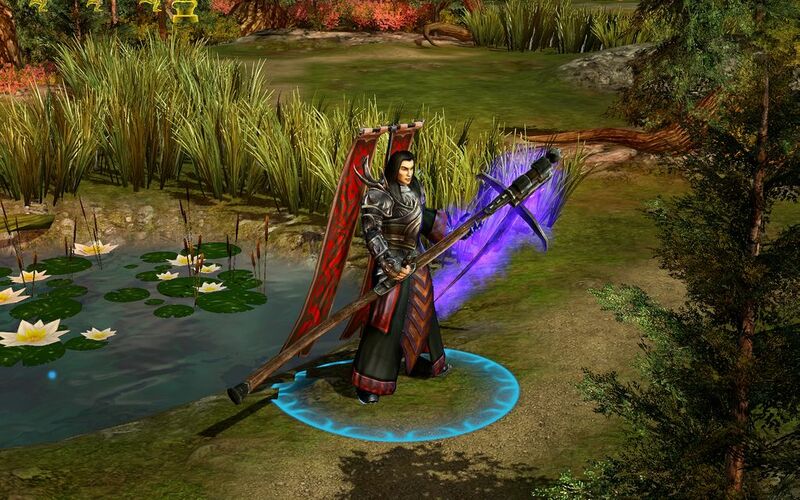 The sub-genre was popularized by the WarCraft III user-made map called Defense of the Ancients but it has since become a favorite of competitive strategy players. Petroglyph, consisting of many veterans from Westwood Studios (Dune 2, C&C), is putting its foot forward in the DOTA arena with Rise of Immortals. 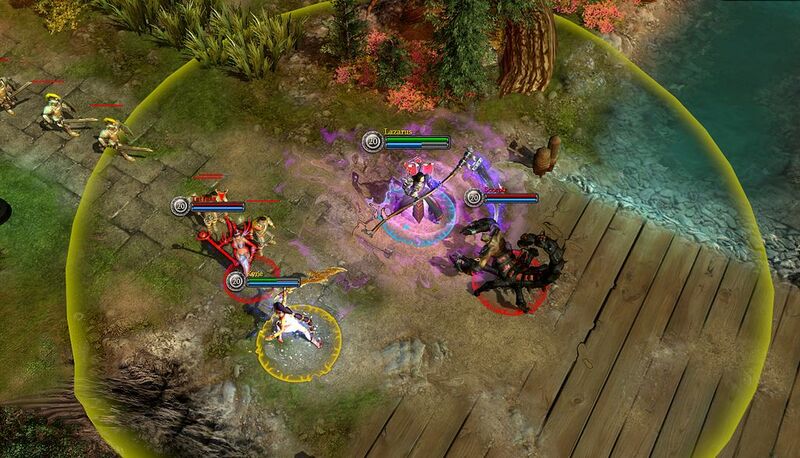 Set in 300 years after the company's turn-based strategy board game Guardians Of Graxia, RoI is a free-to-play online game that features persistent leveling of your Immortal. Sign up for the closed beta at Petroglyph's website and help the team get ready for a Spring 2011 release. 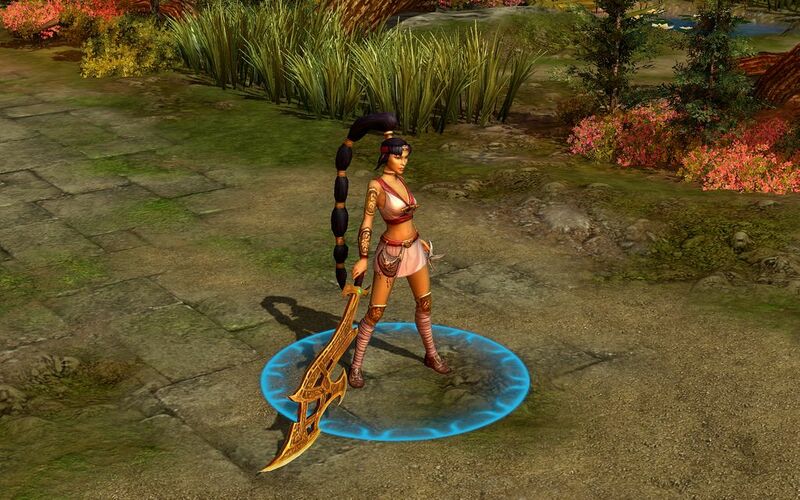 "Many people at Petroglyph are huge fans of MOBA gameplay, so developing Rise of Immortals was truly a passion project for the studio," said Steve Wetherill from Petroglyph. "We recognize that there can be a high barrier to entry in current MOBA games on the market, and we wanted to expand the genre with a title that offers new features that will appeal both to current fans, as well as those who are new to this type of game." The ability to keep leveling up your hero over battles is the spicy big sausage that RoI brings to the DOTA table, but Petroglyph also wants to blend in some MMO features like hub-worlds where you can walk your Immortal around to meet and talk to other players. At launch, RoI will allow you to pick from 12 distinct Immortals, each with their own schtick, but of course the plan is to keep adding to that number. It will not cost you anything to download the game and start battling, but Petroglyph hopes to get your dough by offering equippable items or pets for sale. The first three Immortals revealed are Kyrie, Lazarus, and Tatiana. Man, that Tatiana sure is easy on the eyes, but does it really count as armor if we can almost see your hoo-hah?